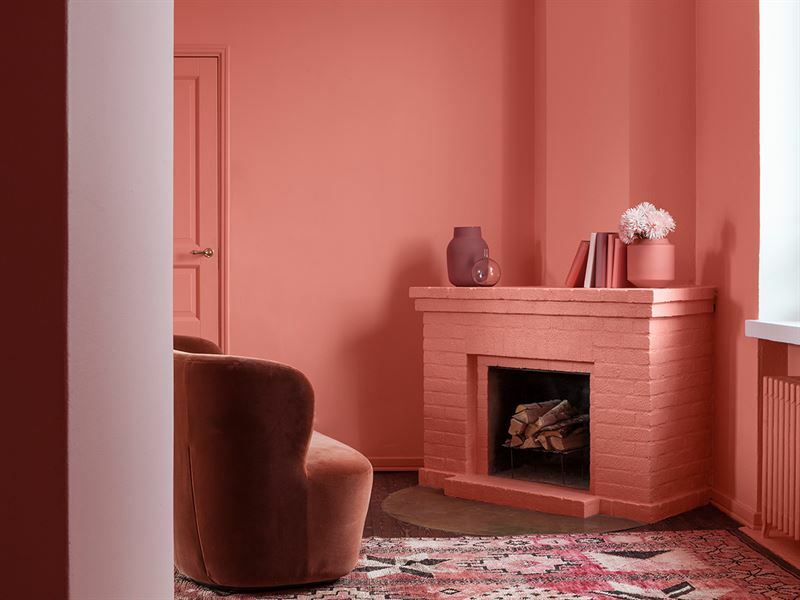 Tikkurila has announced K319 Flamingo as the color of the year 2019. Tikkurila color jury selected a color collection that looks way into the future and brings “clashing and blending” from fashion to decoration. Vibrant and peachy K319 Flamingo reflects the stylish character of exotic birds and its visual appearance sparks the imagination in everything from the nature to fashion, movies and home interiors. For Tikkurila, K319 Flamingo is a response to today’s insecure world as a symbol of openness for new ideas. The color of the year was selected by a color jury composed of four color experts: Tikkurila’s color marketing manager Irina Hanhisalo, creative director and artist Niclas Engsäll, trend analyst and journalist Susanna Björklund and color expert Marika Raike. “With K319 Flamingo, we want to make our contribution in being a positive force and chose to take a bold step towards an era of bright colors. We want to inspire by exposing something unexpected and to embrace flamboyance, celebrate individuality and encourage everyone to go their own way in interior decoration“, describes Hanhisalo. K319 Flamingo is part of the color collection 2019, also selected by the jury. The color collection brings together bold reds, yellows, greens and shades of blues. It is inspired by two megatrends from the fashion world, clashing and blending that are now entering homes. While clashing encourages to breaking color rules, blending gives an opportunity to combine similar shades together. “Colors that blend look nice together – it is no secret. This has been a trend for a while which we love and want to keep on doing. But colors that clash can look amazing too. This is something we want to push more for 2019. Don’t be afraid of choosing something you like. Instead of relying on white or grey or black, if that is not your thing, follow your own taste and go boldly for your favorites”, Björklund says. Images: Get inspired by the color of the year K319 Flamingo and the color collection 2019.